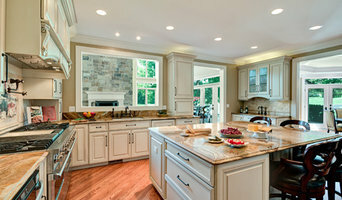 Dream Kitchens is a full service kitchen and bath design showroom. With over 35 years of experience in designing restaurants, bars, and bakeries, we specialize in designing kitchens from a cook's perspective! Utilizing state-of-the-art technology allows us to show our clients their project in photo-realistic 3D images, on a large screen TV, before they buy. We offer a one-stop shopping experience including cabinets to fit any budget as well as tile, lighting, counter tops, plumbing, hardware, appliances and accessories. Our recently updated showroom displays kitchens in every style, along with tile and accessories. Give us a call, message, or drop by our showroom (M - F, 9 - 5) so we can partner with you on your next project! 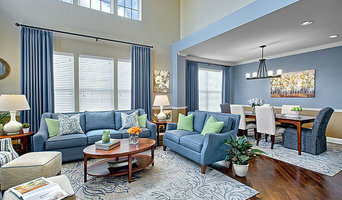 Chicagoland Kitchen & Bath Remodelers: 2x Best of Houzz Winner! 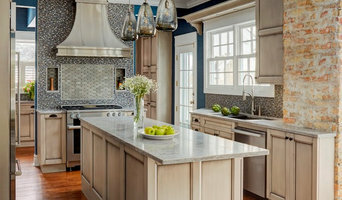 Kitchens & Baths Unlimited is a full service kitchen and bath remodeling firm of 30 years doing business predominantly in the Northshore and Chicagoland areas. Our large showroom of over 25 kitchen and bathroom displays makes it easier for our clients to not only visualize what their new kitchen can look like, but also see and feel all materials being incorporated into their new space. The best kitchen and bath designers are available to assist you every step of the way. Designing custom homes for over 25 years, Stuart D. Shayman Associates has built a reputation for responding to our clients' needs and desires bringing top quality design while working within budgets. Our projects range from bath and kitchen remodels to major additions and new homes. While most of our work is in the Chicago area, we are licensed and work throughout the midwest, Colorado and California. North Shore Architect Best of Houzz 2016-2019! We asked ourselves a simple question: how can we bring the most value to our clients? At Constructure Remodeling, we strive to bring a better value proposition to the remodeling landscape. Our mission is to keep overhead low, resulting in your investment showing up in the project itself, not paying for company overhead. Take a look at some of our work, or see what our clients have to say about their experience with Constructure Remodeling. Contrary to popular thought, not all construction companies are the same. Our sole focus is to provide you with a high quality project at a great value. We keep our overhead low so we can give you the quality you deserve at a price you can afford.